Keeping that Glow! Get Unready with Me and Aveeno MaxGlow! Hope you all are ready for Christmas! I’m sure you will be spending the next few days grabbing last minute gifts, finishing decorating and wrapping everything, and if you are hosting, prepping for the big party. Crazy stressful right? It’s so hard to juggle everything this time of year, stay balanced, and not lose your mind in the process. Plus the holiday season also demands that you always look glam and put together, which just adds another level of pressure! As much as I enjoy hair, makeup, and fun outfits, sometimes you just NEED a bare face and sweat pants. One way I stay sane and squeeze in self-care is to find an off night, or even an early evening, where I stay home and show my skin some extra TLC. 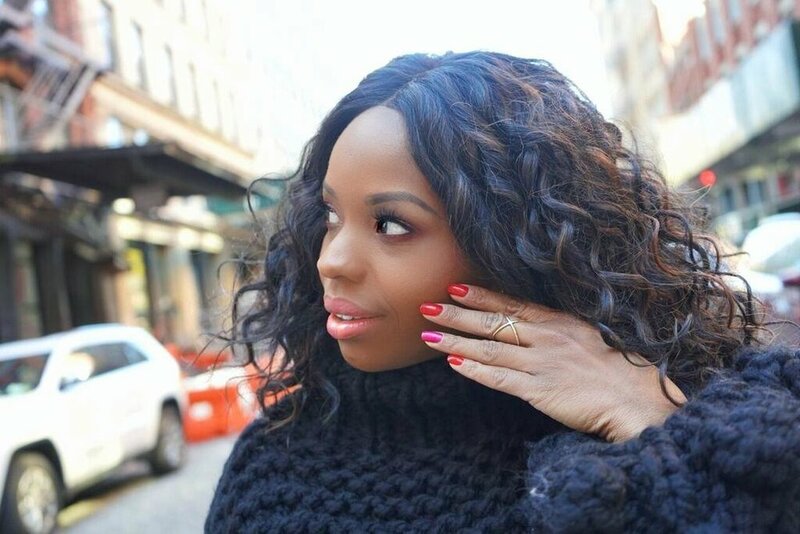 Here are a few steps I take to get unready and pamper myself during the stressful holiday season. The first thing to go is whatever sparkly, tight, layered thing I had on, kick off the heels and cozy up in a warm, fluffy bathrobe. Sometimes I’ll treat my hair to an overnight oil treatment for extra moisture, sleeping with it covered by a plastic cap and satin bonnet. Then it’s time to get all the holiday makeup off! I’ve been using the Aveeno Positively Radiant Micellar Gel Cleanser. I love micellar cleansers as a first step in my getting unready routine, since they gently remove makeup without stripping the skin. Aveeno’s Positively Radiant Micellar Gel Cleanser is formulated with a moisture-rich soy and kiwi complex and it helps skin feel hydrated, soft, and enhances your skin’s natural radiance. More than just a cleansing and moisturizing routine The AVEENO® POSITIVELY RADIANT® Collection is designed to enhance your natural radiance and give you a lit-from-within glow. Each soy enriched product targets tone and texture. I also love using face masks, and do one at least once or twice a week. When you don’t have time to put one on then sit and wait, sleeping masks are perfect. Who wouldn’t want to put one on before bed and wake up glowing? Aveeno’s Maxglow No Mess Sleep Mask is a new one I’ve been testing out. This nighttime face mask helps even skin tone and texture for soft, luminous skin when you wake. Plus the tube includes a paddle applicator so that your hands stay clean for an easy, mess-free application. Then just rinse off in the morning for radiant, glowing skin. Don’t worry about it making a mess when you sleep, the mask will stay on your face and not end up all over your pillows. After I apply it, I like to tuck myself in, turn that phone on silent and spend some time reading or just reflecting on my day. I think it’s important to unplug and not spend the last moments of your day staring at a phone screen. 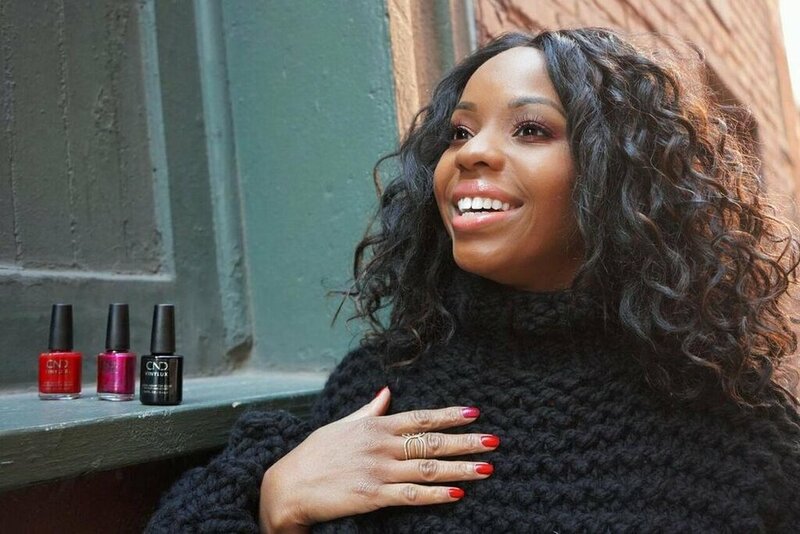 Since this time of year doesn’t allow much time for personal shopping, the most convenient beauty destination to pick up these products is your local CVS. 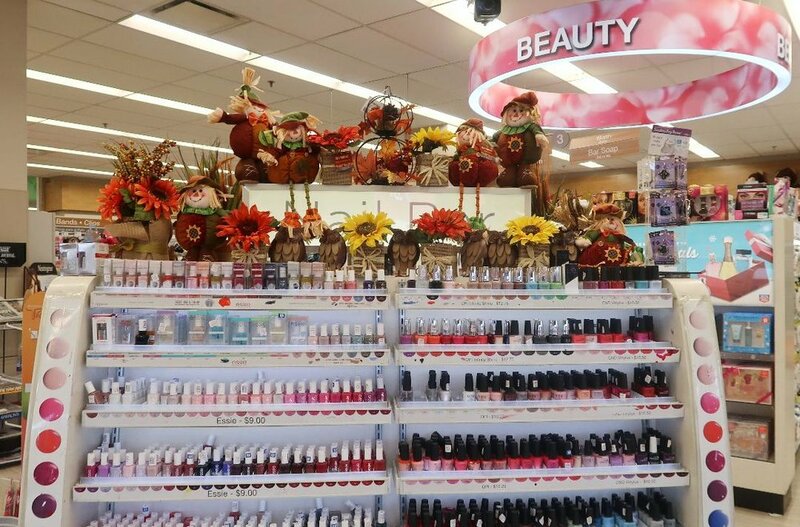 CVS is actually one of the largest beauty retailers in the United States, so it makes staying on top of your beauty needs easier than ever. Make sure you check out the AVEENO® POSITIVELY RADIANT® Collection if you want to enhance your natural radiance and give you a lit-from-within glow. And since saving money around the holidays is essential, make sure you take advantage of the Buy One Get 50% off Select Aveeno at CVS until 12/30. Wishing you all a happy, glowing holiday! Is anyone else starting to feel the holiday stress? I’ve had a CRAZY couple of weeks between travel, my day job, wrapping up holiday campaigns, securing new business for Q1, and my social life, which these days includes catching up with friends and prepping to host this Christmas. I have a post planned for managing it all without losing it, so look out for that next month, because I’m seriously trying to figure it out! November and December are pretty much the time where we are all going out more, spending more, eating more (and usually less healthy stuff) and sleeping less. My friends always say I am pretty good about taking care of myself, and being selfish when need be, so I’m trying to remind myself of how I do that. Self-care is pretty buzzy these days, but it’s crucial to stay balanced and centered. When it feels like the world is pulling you a hundred different directions, you need to find time to take care of yourself. I’m not sure about “having it all” but here are a few ways I practice self-care during the holiday season. We all have little things we do to start and end our day, but when schedules get crazy it’s hard to let that fall to the wayside. But don’t! When you get out of your flow that only makes things more intense, and it’s harder to get back into it once you’ve been off for awhile. Yes there are holiday parties every night, or friends or loved ones who want to catch up for dinner, or trips you could go, etc. It’s hard to RSVP no, but sometimes you just have to take care of yourself. Sleep in instead of going to brunch, catch a workout you love instead of a boozy night out, or just lay around in your coziest PJs as long as you need to. I have had days where getting out of bed was physically not an option, so I cancelled my day and took the time needed to rest. The next day I was infinitely better, and ready to get back on track. When you need to hit pause, just do it! Your loved ones will understand. Millennials are plagued by FOMO! However I’ve realized that when you need to skip social plans to take care of yourself or prioritize your to-do list, the fear of missing out can easily fade away. Just remember that you chose to be exactly where you are for reasons that were important to you. Plus, if you were out doing whatever it was that’s in the back of your mind you’d be having FOMO about missing your couch! Sometimes self-care means laying at home, taking a hot bath or indulging in some of your favorite comfort foods and a glass (or half-a bottle) of wine. Other times it means putting in work to get reenergized and ready to take on the challenges. One of the main ways I stay sane is my regular workouts. I get in at least 3, but usually 4 or 5 a week! No matter how busy I am or how gross the weather is, because I know that workout time is an investment in myself, my health, and my body. Of course there are days where dragging myself to the gym is the last thing I want to do, but when I get there I never regret it. But if I skip a workout I always have regret the next day. So whether it’s fitness, meditation, or just some gentle stretching while YouTube is on in the background, find something that will be your thing and make time for it on a regular basis. November and December are also times where there is increased pressure to spend, on shopping, gifts, and socializing. By October I pretty much know how much I’m going to spend between holiday shopping, stuff for myself, entertaining costs, and socializing. Then I FIRMLY stick to those numbers, and am never shy about saying I need to prioritize my budget when saying no to things. Keeping up with the Joneses needs to be a thing of the past and anyone in your life who cares about you would not pressure you to spend frivolously. There should be absolutely no stigma about living within your means! I can’t stress this enough! Protect your sleep as vigorously as you may need to, It is paramount to your overall health and well-being. I always make an effort to be in bed unwinding about 30 minutes before I need to actually be falling asleep. That means the alarm is set, phone silenced, and I’m reading a good book and finishing my nightcap (usually a bourbon neat – I’m not a tea person). If you can’t stand the thought of fully silencing your phone, at least dim your screen and turn on the blue-light fliter, which is easier on the eyes before you go to bed. Let me know how you guys practice self-care through the craziness this time of year! Who is ready for Monday? I love to spend my Sunday relaxing, planning out my outfits for the week, and doing some at home beauty treatments. One of my favorite self-care Sunday treatments is an at home manicure. When my nails aren’t done I feel like the rest of my life just isn’t together. Dramatic, I know, but I can’t help it! You can’t be a boss babe with a chipped mani. I discovered CND™ VINYLUX™ Long Wear Polish at my local Rite-Aid and it’s become my secret weapon for the perfect mani that lasts all week. It’s a super easy and convenient 2-step application. Just apply two thin coats of the all-in-one base and color CND™ VINYLUX™ Long Wear Polish, then one coat of CND™ VINYLUX™ Long Wear Top Coat for a gel-like finish. No base coat necessary! And in about 8 minutes your nails are perfectly dry with a shiny, high-gloss finish. It really gives you a gel-like look that you can remove just as easily a traditional nail polish. Plus it’s the first-ever, long-wear polish infused with Vitamin E, Keratin & Jojoba oil to keep your nails nourished and healthy. 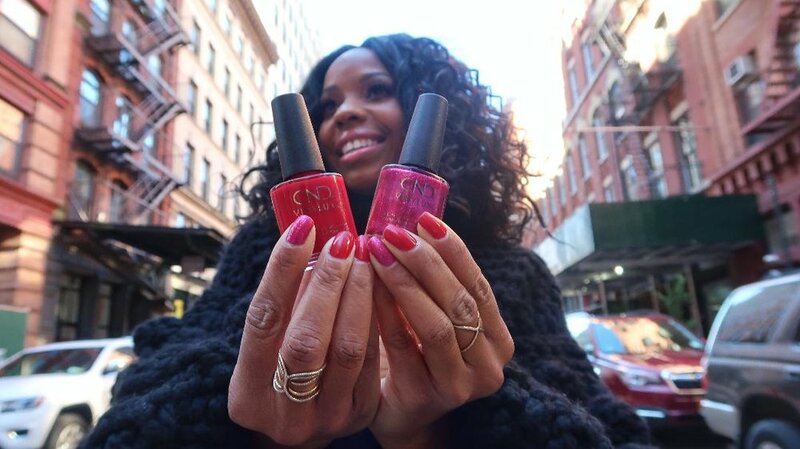 This week I’m rocking Wildfire and Butterfly Queen, a bold red and glittery fuchsia that make the perfect combo. Next week who knows! If you aren’t a pro at nail art or complicated designs, an accent nail is the perfect way to spice it up. I love buying nail polish at Rite Aid because the Nail Bar has the best selection of colors and polishes, and they always have amazing deals. Be on the lookout for CND™ VINYLUX™ Long Wear Polishes NEW to Rite Aid stores. These polishes can be found in the Nail Bar or Wall Display with a brand new look! "And for a limited time only, visit your local Rite Aid store and buy 2 CND™ VINYLUX™ products to receive $4 Bonus Cash at Rite Aid. Valid 10/28/18-12/1/18 in-store only. Let me now what colors you test out and how much you love it!